Karin Rivard helps clients create and protect vital revenue streams, guiding them through all kinds of development, licensing, marketing and distribution transactions, as well as strategic partnership agreements involving local, regional and global partners. She is particularly well known for her work on revenue-generating transactions that leverage the value of intellectual property assets, having worked on more than 1,000 significant deals involving IP research and licensing. Karin frequently serves non-profit research organizations, including universities, foundations and academic medical centers, assisting them in specialized and sophisticated transactions with industry partners involving translational research, clinical trials, sponsored research, data use, material transfer, and creation of bio-specimen repositories. She also helps inventors, developers, distributors, and other key players in the high-tech, software, cloud services, medical device, life science, pharmaceutical, agricultural, food product, and manufacturing sectors of the economy. In her work, she helps clients to generate revenue through the development, protection and monetization of intellectual properties, including patents, copyrights, trademarks and trade secrets. As a result, clients also rely on her for assistance with IP-related due diligence associated with mergers, acquisitions and various venture capital and private equity transactions. Karin assists clients on other complex matters as well. She helps clients with transactions to commercialize and sell their products or their business and technology services. Because of her experience in dealing with complex technical issues, she guides clients in matters involving data privacy, e-commerce, information technology and various internet-related endeavors. Karin is known as a good listener who generates creative ideas and discussions to move parties from impasse to progress. She is a strategic thinker who is candid and direct, capable of seeing the big picture as well as paying attention to details. In addition to her significant private practice experience, Karin has more than a decade of experience serving as in-house counsel at MIT’s Technology Licensing Office, where she managed day-to-day office operations, as well as MIT’s entire trademark portfolio. 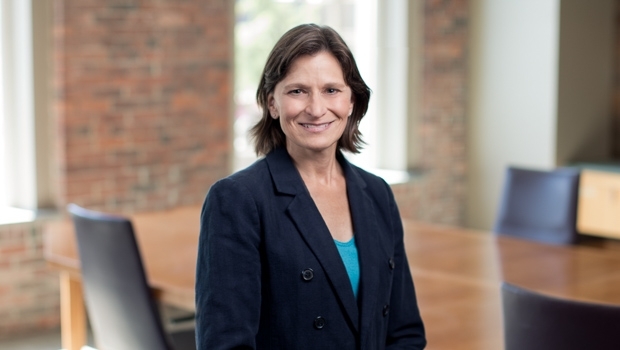 At MIT, she worked on numerous transactions involving patents, trademarks and copyrights for software, medical devices and life science innovations. Recognized by peers for her legal knowledge, Karin is a popular speaker on the subject of licensing and collaborations. She has presented at meetings for the Licensing Executives Society, the Association of University and Technology Managers, the National Association of College and University Attorneys, the Massachusetts Association of Technology Transfer Offices, and the American Conference Institute. She has also been a guest lecturer on intellectual property and licensing at Suffolk University Law School and the Brandeis International Business School.